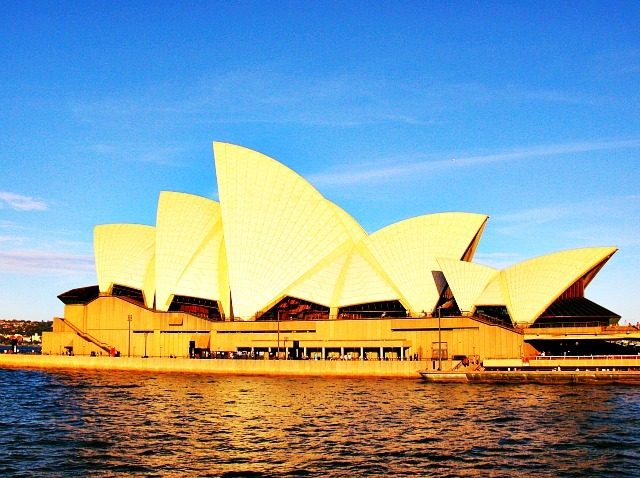 A top tourist destination in Australia is the lively Sydney, the state capital of New South Wales, which is clad by scenic harbors, majestic architectural statements, interesting museums and sun-kissed beaches. Sydney Harbor Bridge Climb- For the adventurous, a visit to Sydney will not be complete without scaling up the Sydney Harbor Bridge. Each climber is provided with the necessary gears, equipments and guidance to reach the summit. It’s not as hard as it looks as the gradient leading to the peak of the bridge is not that steep. It’s worth the effort because upon reaching the top of Sydney Harbor Bridge, you will be rewarded with a magnificent view of the world-renowned Opera House and the Sydney Harbour with ferries and water taxis below. Manly Ferry Ride – This famous commuter ferry leaves Circular Quay and takes passengers to the Sydney suburb of Manly. Arrive early and pick the front or back side of the ferry to get the best view of the Sydney Harbour Bridge and Sydey Opera House. When in Manly, head over to Corso beachfront, turn right to the Sculpture Walk and bask in the sunny Shelley Beach. Bondi Beach- The nearest beach to Sydney center is the .6 mile long Bondi Beach which beckons day trippers, tourists, residents and backpackers. It has powdery sand, glimmering azure waters, ideal waves for surfing and a lively shoreline. Its coastline is flanked by apartments, backpacker hostels and cafes. Darling Harbour – Nestled on the western outskirts of the Sydney commercial district is the Darling Harbor, a local favorite due its promenade fringed by restaurants, cafes and shops and old sailing ships and varied boats. Marvel at the street performances musicians, acrobats and fire-eaters. While in Darling Harbour, make time to visit the Promenade Museum, Australia’s largest museum as well as the Sydney Aquarium and the Sydney Fish Market. Royal Botanic Gardens and Around – Take a leisurely walk at the lovely Royal Botanic Gardens which houses beautiful endemic flora of Sydney, set against the beautiful Sydney Harbor. You may take the tour with a RoyalBotanic Garden volunteer guide which departs from the Information Booth. It’s also an ideal ground for family picnics, just bring your picnic basket and nab a spot to lounge while watching the ferries pass by. While in the area, pay a visit to Mrs. Macquaries Chair and Point and the nearby Art Gallery of New South Wales where interesting masterpieces of Australian artists and Asian and South Asian artworks are on display.